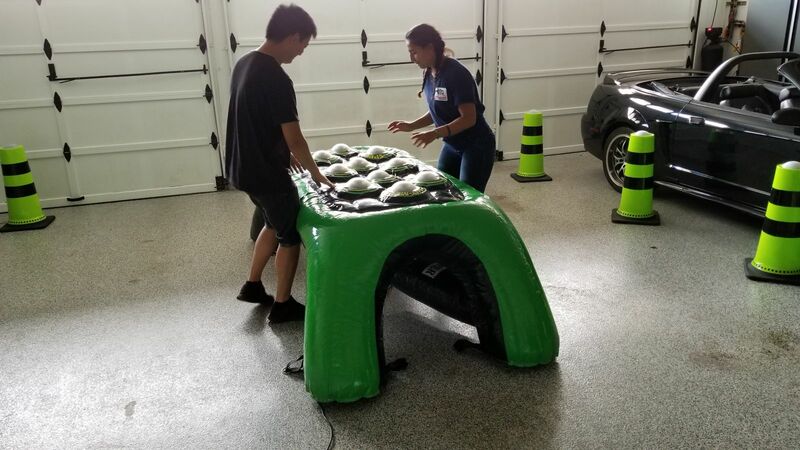 The Interactive Play System and Inflatable Gaming Table are new additions to our inventory. This game will be enjoyed by all ages and at any event! Interactive Play System and Inflatable Gaming Table is ready for your next event! The set includes the Interactive Play system and an Inflatable Gaming Table! The person with the most points wins. This is the perfect item for a birthday party, school, church social or company picnic.